The parallel-stop-slide for PVC, timber and timber-aluminium systems is based on the proven roller technology of the MACO slide&tilt hardware. Its key features are the all-round ventilation with a sash parallel stop of 5 mm and capability for burglar resistance according to resistance class 2 (RC 2). The standard parallel-stop-slide is even equipped with the i.S. security roller cam. 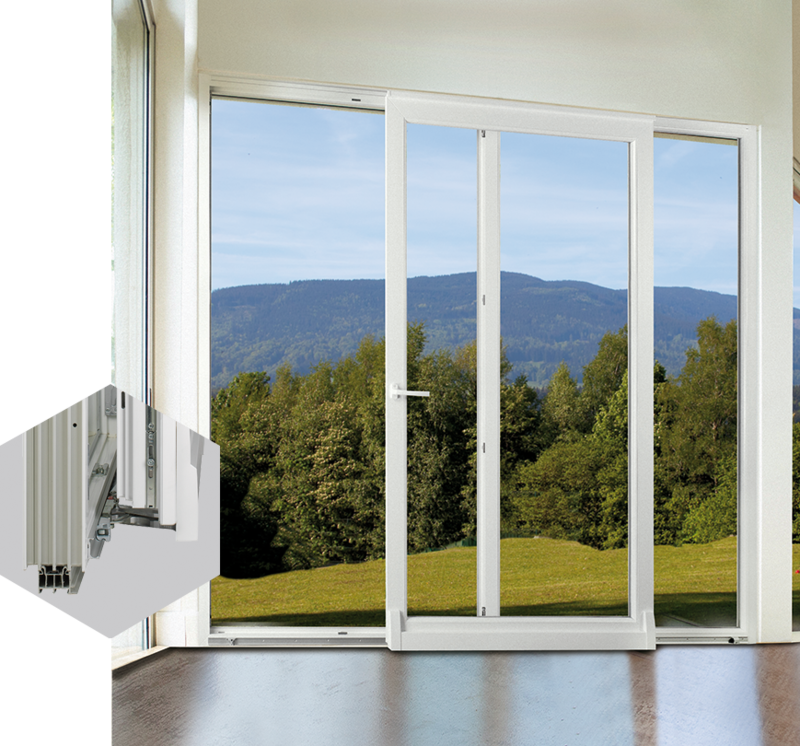 The integrated spring mechanism easily moves sliding doors up to 200 kg in weight. The Transit Personal Threshold with connection bracket is a variant of the standard Transit Personal Threshold. It is not only adapted to the geometry of your profile but it also enable easy sealing on the outside. The integrated aluminium bracket serves as a connection surface both for the sealing membrane and for the liquid plastic. This then offering a guaranteed high quality installation of the window or door unit.